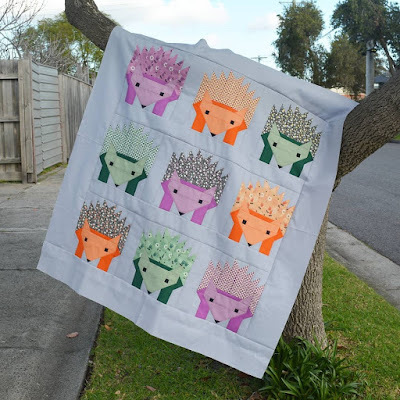 Just a quick post today to link up my finished Hazel hedgehog quilt with the Elm Street Quilts One Monthly Goal link up. Finishing this quilt was my goal for this month and I finished it this morning with less than a day to spare! The quilt is make using the Hazel Hedgehog pattern by Elizabeth Hartman and prints from the Eastham collection by Denyse Schmidt. For the background I used a cotton/linen blend by Robert Kaufman, which proved to be a bit challenging to work with given the small pieces. 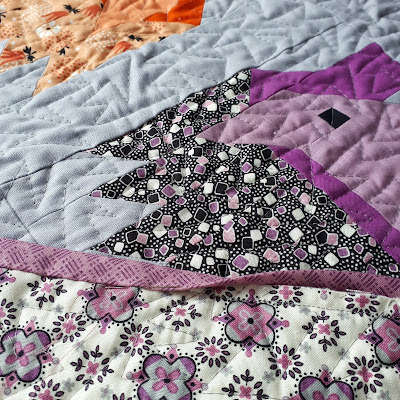 For the quilting I used an all-over sharp stipple FMQ design. 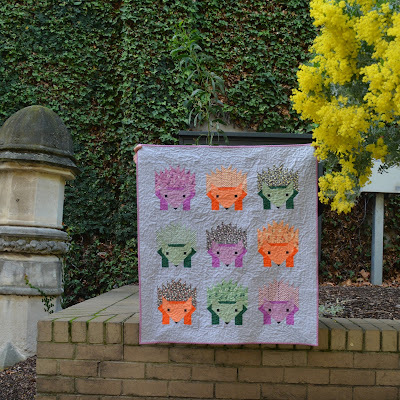 I love this design; it's easy to stitch, allows me to avoid bulky points and gives the quilt a great texture. All the lines of quilting also make the quilt really soft, like a piece of paper that has been creased a thousand times. Plus, it's a great fit for the spikey hedgehog blocks. 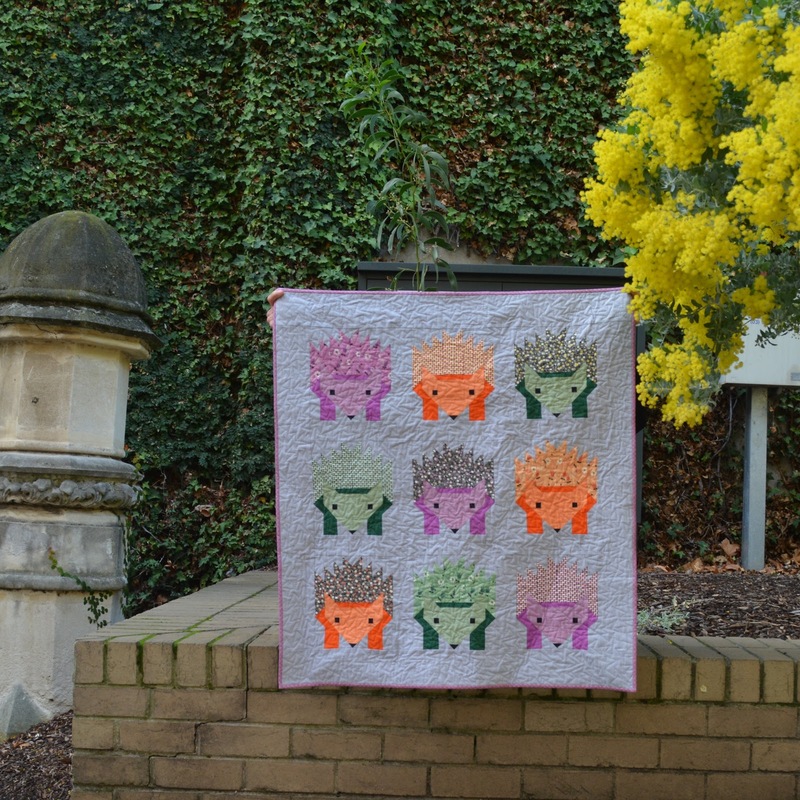 The sun finally came out in Melbourne today so I was able to get a few quick photos of the finished quilt. It now just needs to be washed and dried and it will be ready for snuggling. I'm also linking up with the 2018 finish-a-long as this was one of the projects on my proposed list of finishes for quarter 2. 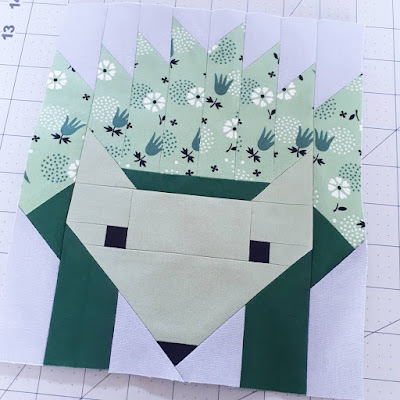 I'm linking up with the June Elm Street Quilts One Monthly Goal and sharing my goal for this month: to turn these piles of strips into a Hazel Hedgehog mini quilt. 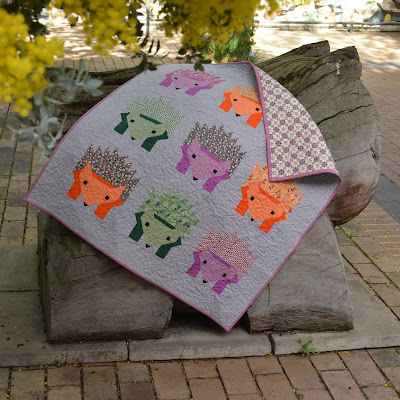 I cut up a layer cake of Denyse Schmidt's Eastham collection about a year ago, intending to make a hedgehog quilt for a friend who was having a baby. But after looking at the instructions, and how much time I had left, I ended up going with another (much simpler) quilt.